One of Italy’s most important and historic cities. 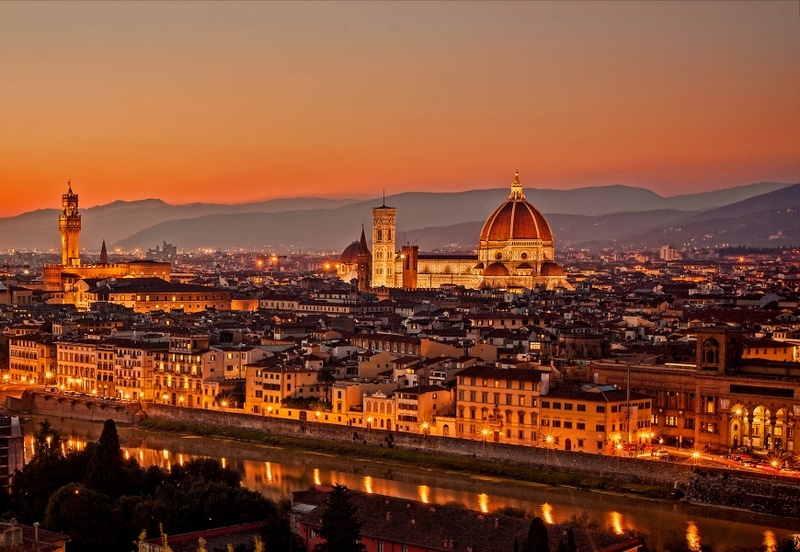 Florence, capital of the region of Tuscany, spreads on the banks of the Arno, between the Adriatic and the Tyrrhenian seas, almost in the middle of the Italian peninsula. Full of beautiful, Renaissance-style buildings, including wonderful churches and enormous palaces, Florence is steeped in culture and atmosphere, and has not changed greatly since the 16th century. The whole of the city’s historic centre is classified as a UNESCO World Heritage site. Florence’s museums, palaces, and churches house some of the greatest artistic treasures in the world. Make sure to make time to visit the Cathedral, the Baptistery, the Uffizi, the Bargello, and the Accademia. The churches of Santa Maria Novella and Santa Croce are bona fide art galleries, and the library of San Lorenzo is a magnificent exhibition of Michelangelo’s architectural genius. Wander some of the oldest streets in the city, cross the Ponte Vecchio, and experience the “newest” area of Florence, the Oltrarno. Be sure to set aside time to see the vast and varied art collection housed in the Pitti Palace. Florence is indeed full of old-world splendour but at the same time, it also is a dynamic and cosmopolitan city with an array of restaurants offering great Tuscan cuisine. Travellers in search of some retails therapy will not be disappointed. 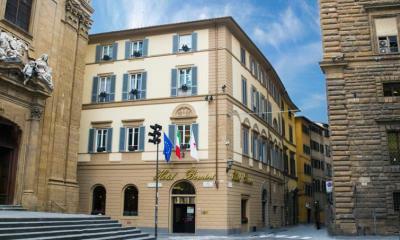 Head to Via de’ Tornabuoni for upmarket labels or visit a few of the city’s colourful markets.